Looking for a Local Used Car Dealership? Consider Budds’ BMW! If you live in Oakville and are looking for a local used car dealership, consider visiting us at our Oakville Budds’ BMW dealership. If you prefer starting your search for used vehicles online, you can view our inventory of luxury new and certified pre-owned vehicles right from the comfort of your own home on our website. Or, if you prefer to connect with us directly, book an appointment to meet with one of our customer representatives at your convenience. At Budds’ BMW, we’re here to make looking for premium used vehicles easy. We are confident that we can accommodate your style preference and needs. We also offer competitive pricing and financial assistance packages to help you bring home your dream vehicle today. When looking for a local used car dealership, many people are concerned about the reliability of the vehicles they find. Oakville residents can rest assured as reliability is our top priority at Budds’ BMW. All of our certified pre-owned vehicles have been inspected thoroughly by multiple engineers who are highly experienced. We also offer 24-hour roadside assistance to all of our BMW clients, so no matter where you are, your safety is in good hands. BMW is a leading brand name in the automobile industry, so you can be confident that your premium used BMW vehicle was engineered with quality parts and designed by expert mechanical engineers. 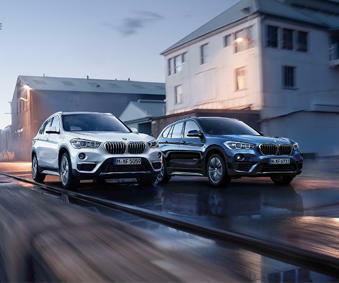 BMW is constantly striving to meet the demands of the ever-changing industry, and at Budds’ BMW we’re no different. We understand the importance of providing safe, reliable, quality automobiles and we place high value on keeping our communities safe. When searching for a local used car dealership, Budds’ BMW has you covered when it comes to competitive pricing and financial assistance. We’ve already considered the importance of finding our valued clients financial assistance packages that will help them bring home their dream vehicle without having to compromise their lifestyle. Book an appointment or visit our Oakville dealership to find out about how we can accommodate you at Budds’ BMW. We’re here to make your BMW experience a positive and memorable one. Visit Budds’ BMW in Oakville today; we’re a local used car dealership that you can rely on.